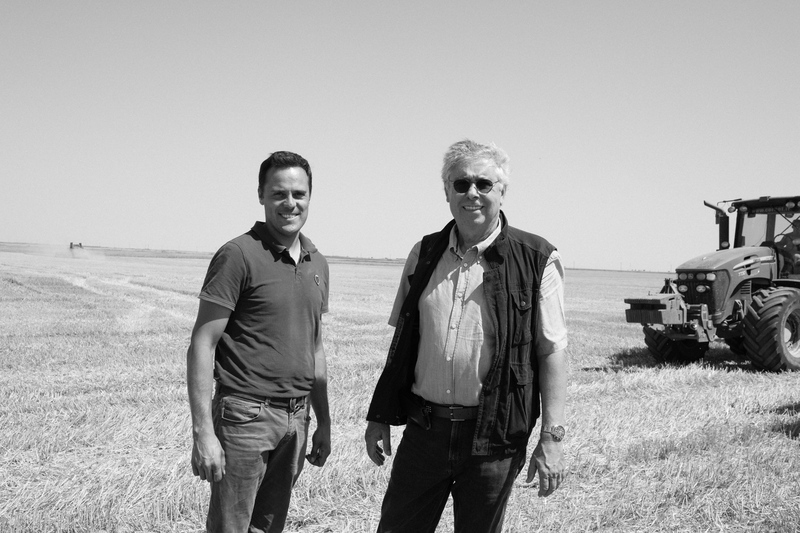 Thierry Vincent owner of Sofrag Agri SRL with manager Julien Gillard on the farm in Topraisar, Romania. 11 July 2017. Photograph by Davin Ellicson for Le Monde M Magazine.